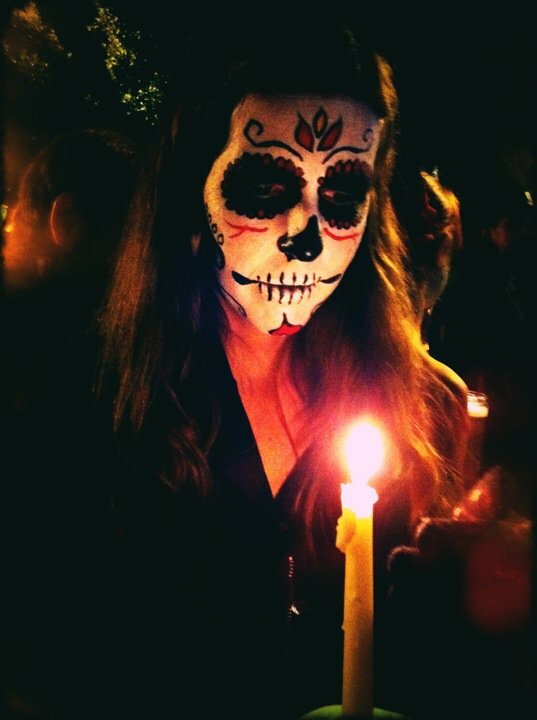 Last night was the annual Dia de los Muertos (Day of the Dead) celebration in the Mission in San Francisco. 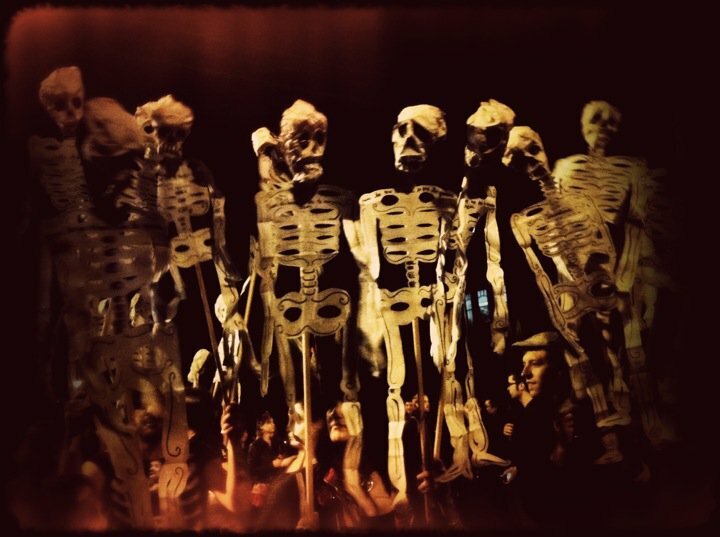 UC Berkeley’s own Stanley Brandes has published extensively on The Day of the Dead as “something peculiar to Mexico, (a) remnant of ancient Aztec funerary rites and an expression of a uniquely Mexican relationship to death” (From Sugar, Colonialism, and Death: On the Origins of Mexico’s Day of the Dead 273 – it’s a great article that traces the ritual and materiality of the celebration, eventually concluding that it is a “neither Spanish nor Indian but, rather, a colonial invention”). The festival is becoming more widely known to most people that live in the United States, with the compelling imagery of dancing skeletons, marigolds, and sugar skulls. Living in Texas and now in California, I’ve had the benefit of living around large Hispanic populations for some time now, and as an archaeologist I have a particular affinity for Day of the Dead celebrations. As a practitioner of a profession that “speaks” to and for the dead, it’s nice once in a while to make this relationship explicit, to share the feeling of happiness that a personal connection to the past begets. Dia de los Muertos in the Mission is a mix, for sure. I’ve heard criticism from some folks (anthropologists, even!) that decry the Mission celebration as inauthentic and infested with the white hipsters that everyone seems to like to pick on these days. Last night I processed behind a local group of Santeria practitioners, who chanted, danced, and wafted burning sage across the street. There were families with children dressed as little skeletons–they always the creepiest, and they seem to sense this–and the Laughing Squid/Burners, and no small amount of people carrying portraits of their dead loved ones as they walked beneath panderias, laundry mats, and aging duplex-Victorians. My friend Melissa gave me her candle and I added it to one of the lovely altars in the park. It was for a friend, Chris Lee, who passed earlier this year. Chris was a true sweetheart, with a ready laugh and a huge heart. 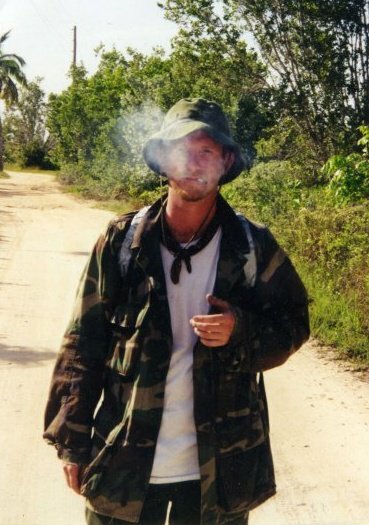 He was a fellow archaeologist and was working professionally on a job in Texas when he died of heat stroke. Sic transit gloria mundi. Godspeed, m’dear. i’m writing a news piece for a german online-magazine (www.quetzal-leipzig.de) about el día de los muertos. we are an asosiation and have no profit to make by publishing this kind of informations. I would like to use one your fotos as ilustration for my news piece. If you agree, please let us know, but if you don’t want to allow us to use your material I can change the picture in the moment.